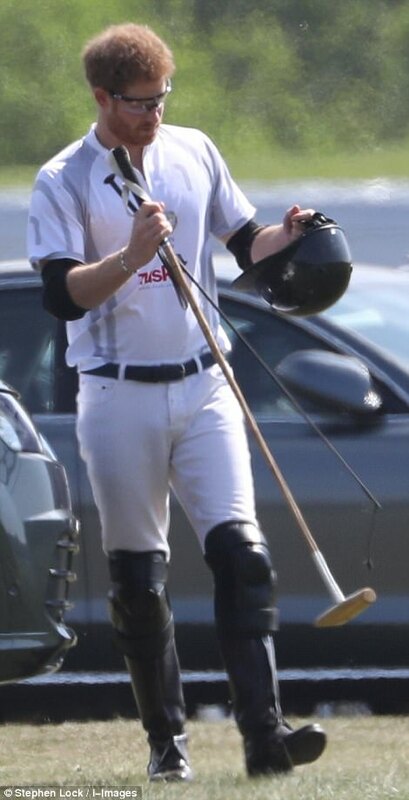 Prince William and Prince Harry looked in excellent spirits as they took part in a polo match today. 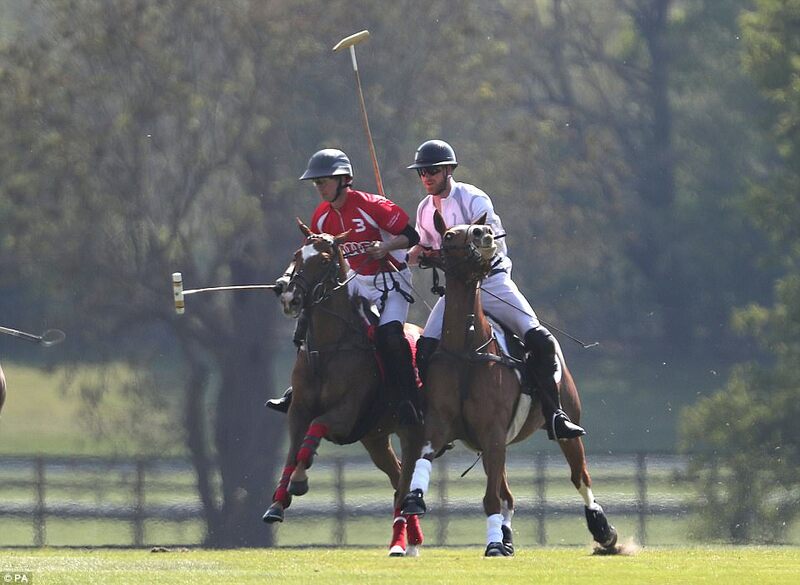 The royal brothers showed off their skills on the field on the second day of the Audi Polo Challenge at Ascot, Berkshire, today. 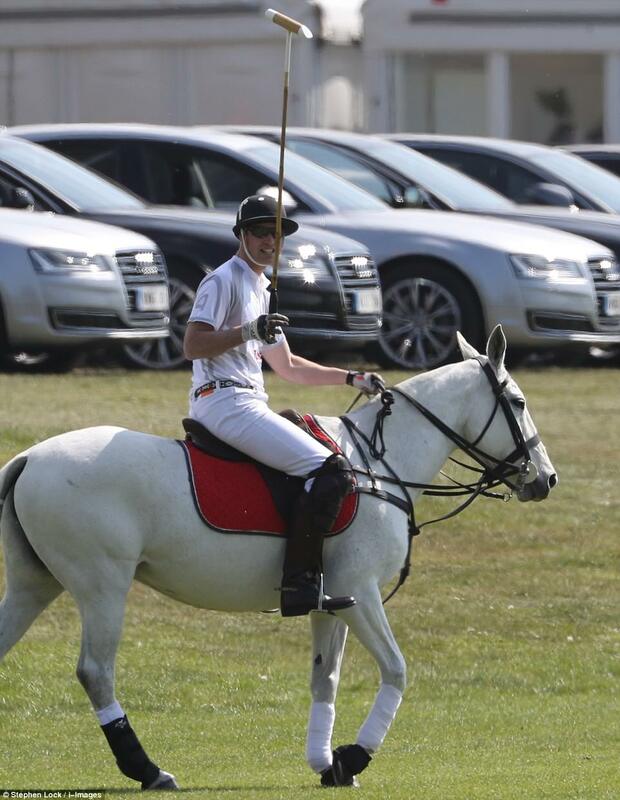 Dressed in matching white and grey polo shirts, William, 34, and Harry, 32, were seen chatting and inspecting their mallets before they mounted their horses with the help of an aid. Yesterday, Harry was joined on the first day of the event by his girlfriend Meghan Markle, marking their first public appearance as a couple and giving yet another sign of the seriousness of their relationship. It is not clear if the American actress is on hand to cheer on her boyfriend from the stands today. Yesterday, Meghan also met Harry’s mentor, Mark Dyer, a former Army officer. 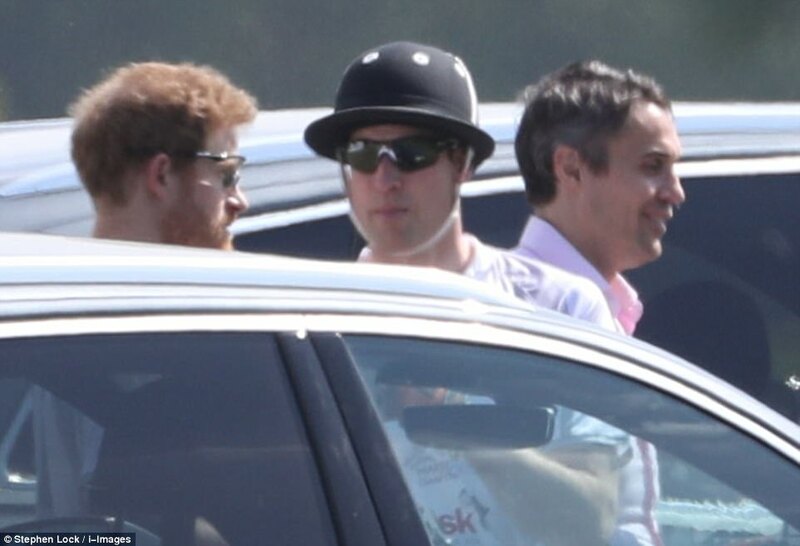 While Harry demonstrated his sporting prowess, Miss Markle seemed completely at ease as she stood clapping and talking next to Mr Dyer. The 35-year-old looked stunning in a navy blue dress with an asymmetric hem, chic white jacket and ankle-tie stilettos. Harry introduced Meghan to his mentor at the Sands End pub in Fulham, which Mr Dyer owns. 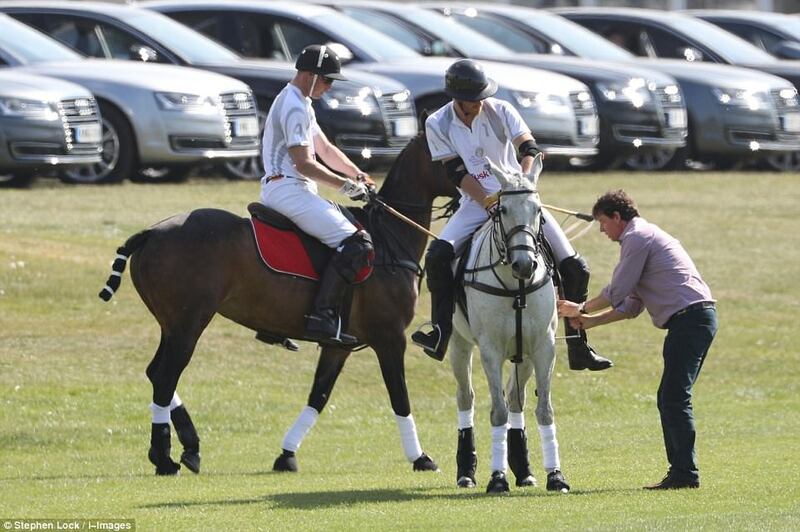 The 50-year-old has been a guiding figure for both Harry and William since the mid-1990s when he was an equerry. 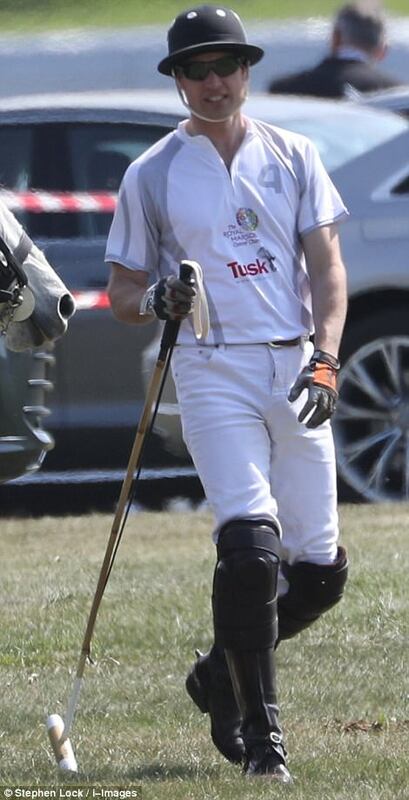 Harry, 32, and Meghan are said to make regular trips to his pub.